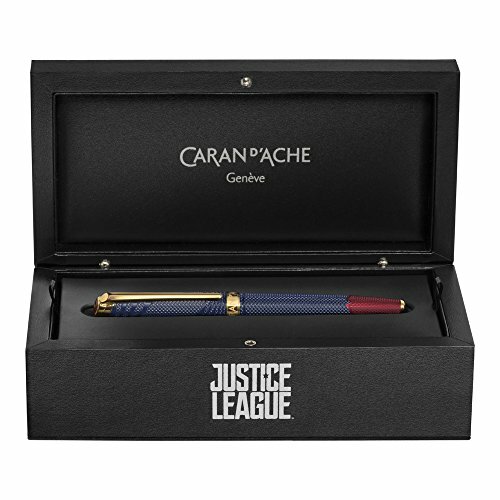 This Justice League Trinity Superman special edition Roller Pen by Caran d'Ache combines fine Swiss quality with fantasy. The design of this pen is inspired by Superman's iconic costume. Deep red and blue lacquer is paired with 14K yellow gold trim. This pen comes with a roller cartridge, but can also be used with a fibre cartridge for greater versatility. This would make an ideal writing tool for yourself or your own personal superhero.